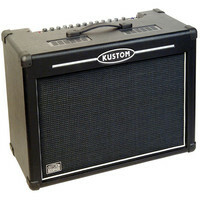 30W Acoustic amplifier with both great looks and sound including a 10″ Celestion speaker 24 bit digital effects and a whole host of other features. The HV100 utilizes an exclusive new Kustom preamp circuit that combines a 12AX7 vacuum tube known for its robust tonal qualities with solid-state circuitry that provides consistency and reliability. To maximize the tubes distinctive audio characteristics and dynamic range the HV preamp circuit operates at high voltages. 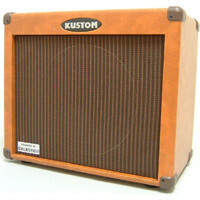 The resulting tone is rich dynamic and loaded with harmonic content. 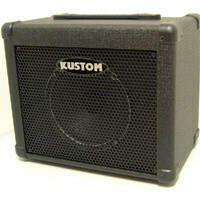 Compact bass amplifier with 4 band active EQ and Celestion 8″ speaker – perfect for practicing. 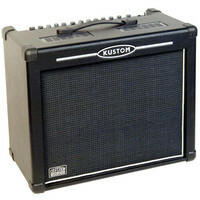 Acoustic amplifier with 65 Watts of power 12″ Celestion speaker 24-bit digital effects 2 instrument inputs XLR mic input and feedback filter. 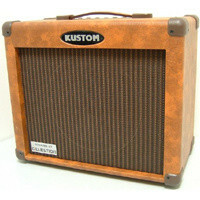 Kustoms High Voltage (HV) Series generates the authentic tone and responsive touch of classic tube amplification but with less weight and a lower price than all-tube designs. The key is an exclusive new Kustom preamp that combines a 12AX7 vacuum tube – known for its robust tonal qualities – with solid-state components that provide consistency and reliability. To maximize the tubes dynamic range the circuit operates at high voltages thus the name.